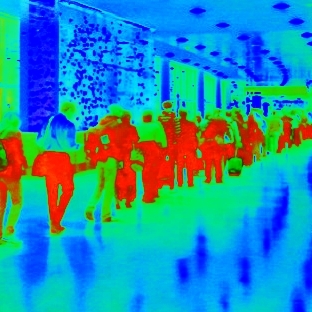 Waldo Rochow, MBA: A step towards tighter airport security, or more invasion of privacy? A step towards tighter airport security, or more invasion of privacy? Researchers at the University of Manchester in collaboration with the Universidad Autónoma de Madrid, Spain have developed an artificial intelligence system that can be used to identify individuals based on the way they walk. The researchers envision usages in airport security and healthcare. I applaud the researchers for their work. After all, both security and healthcare are important areas that require continued advancement. Here's the question though: do you agree with their claims that since this is "non-invasive" it is not subject to the same privacy concerns as fingerprints or retinal scans? Though the current technology requires the subject to walk on a specialised mat, people could be led across such a mat without their knowledge or consent to the scan. Furthermore, is it not conceivable that an evolution of this technology will be possible with multiple camera angles? It seems to me that the protection of privacy is not only a question of the invasiveness of the scan, but rather the informed consent of the subject being scanned. Make no mistake, any system that can be used to uniquely identify an individual must be treated with the highest level of respect for the protection of privacy. This system is no different.